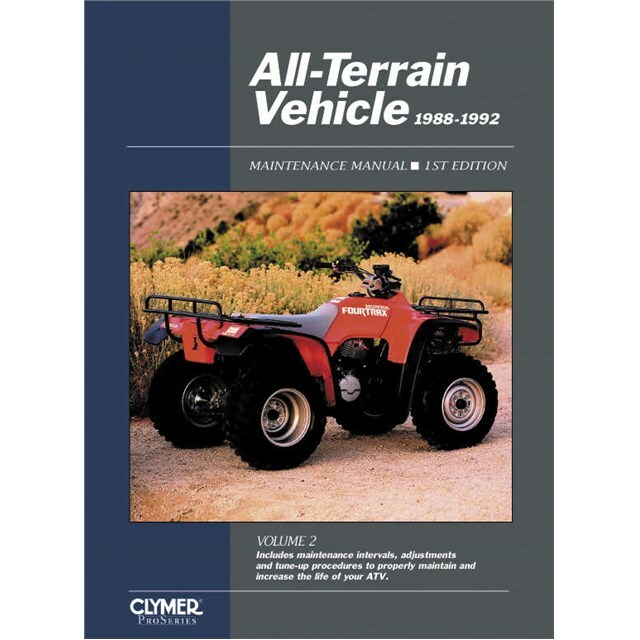 Maintenance Manual provides complete specifications and service data for all-terrain vehicles produced from 1988-1992. Maintenance intervals, adjustments and tune-up procedures are clearly outlined. Hundreds of exploded views and illustrations accompany easy-tofollow instructions.